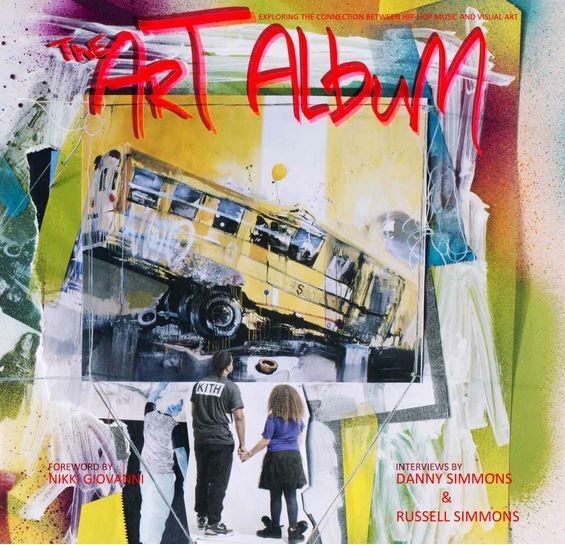 ‘The Art Album’ is an illustrated book celebrating the long-standing relationship between the visual arts and hip-hop music, and is the result of a collaboration between two giants of the American music scene. Dawud Knuckles is a veteran of the record industry in America. In the 1990s, his friends founded the hip-hop record label Ruff Ryders, with whom he worked for many years as a videographer. He has subsequently worked with many recording artists on interviews, special projects, tours, and documentaries for Ruff Ryders. Through his career in the music industry, Dawud has made many influential contacts, including Russell and Danny Simmons, who is contributing to the book. The Simmons insightfully explores the themes of a selection of songs and how the subculture of hip-hop relates to, and has influenced contemporary art. Each chapter of the book will have a theme- for example, the theme of one chapter will be New York, and the title of the chapter will be ‘Empire State of Mind’- Jay-Z’s epic single which peaked within the top in 10 in 10 countries in 2009. Lyrics from the song will be presented beside contemporary art inspired by New York, an exclusive commentary from Russell and Danny Simmons (celebrated artist and philanthropist), and a contextualizing text from legendary writer and activist Nikki Giovanni, as well as other academics. This concept of presenting songs, art, and interviews alongside each other will offer an incomparable insight into the influence that hip-hop has on contemporary culture, and the unrivaled significance that this subculture has risen to. This collaboration between so many big names in music, art and academia is a unique project.